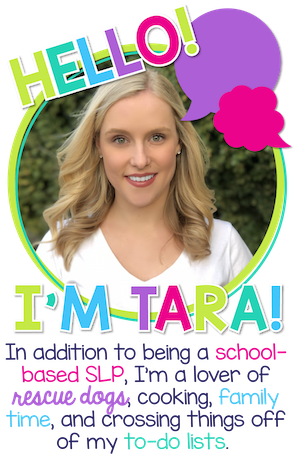 My name is Tara and I’m an ASHA certified Speech-Language Pathologist from central Pennsylvania. If you’re here reading this, chances are you and I are alike. 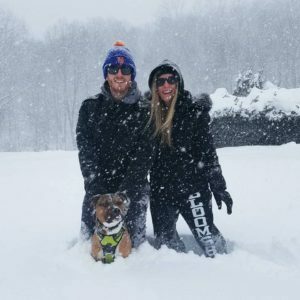 I’m a school-based SLP serving a lot of students with many different needs. Most of my students (not ALL, let’s be real) come running to me. They LOVE coming to speech therapy for the fun, meaningful activities that help them work toward their goals. Backtrack a few years. I knew I was doing something wrong when I was spending HOURS each week planning and preparing for my students. I knew there had to be an easier way, but I wasn’t finding it. That’s when I started creating simple, effective materials for my caseload. I needed resources that targeted my students’ wide range of needs, but also saved me time. I started simplifying my materials while keeping my students’ interests in mind. Almost every aspect of my therapy changed once I started working smarter, not harder. 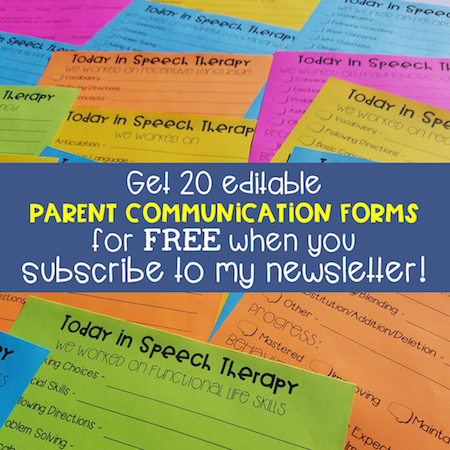 I’ve spent a lot of time researching, planning, and creating resources, so you could simply print & go, while providing top-notch, observation-worthy therapy! Ina Garten (aka, Barefoot Contessa) is one of my idols. I love her. I want to be like her when I finally grow up one day. I married my best friend, Kyle, on August 5th, 2017. If it wasn’t for my husband, I wouldn’t be able to run Fun in Speech. He picks up so much slack so I can do what I love, and that is one of the many reasons why I love him. I never knew what a speech-language pathologist was until freshman year of college. I was originally a business education major and quickly jumped ship when I discovered a job that really “spoke” to me (see what I did there, nerdy SLP humor. I was made for the job). My guilty pleasures include Bravo Housewives, chips and dip, Amazon Prime, exercise pants/leggings, puppy cuddles, talking through movies, eating leftover dinner for breakfast, and adding already completed tasks to my checklist just so I can cross them off. Does any of this sound like you? If so, let’s be friends! Poke around this blog, check out my Instagram, take a peek at my TPT store, and subscribe to my newsletter!